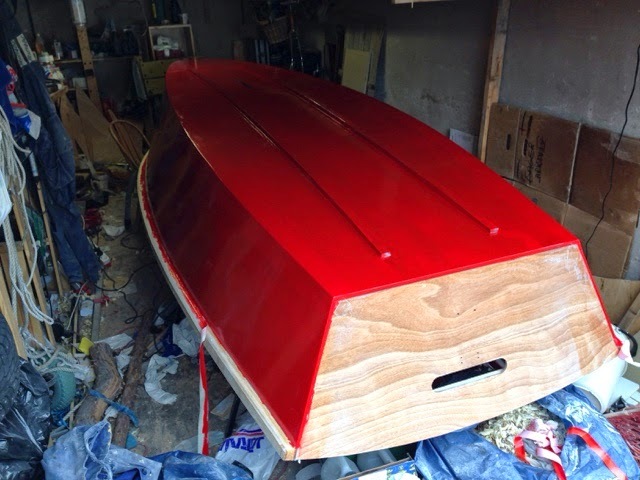 Goat island skiff in Gothenburg: Paint! First layer got on today. Could have sanded a bit more before, but I hope it will turn out ok with a bit of sanding and a second coat.